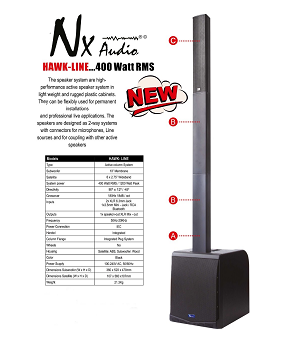 Description: Although referred to as a “column” loudspeaker, the New HAWK-LINE delivers a powerful 400 WATT RMS/1200 watt Peak, Delivers an Extremely Crisp and Clear high-quality sound with optimised dispersion, inspired by our heart-winning line array products, its a easy to use, all-in-one form factor, especially our on-board 3-channel input with reverb and a multichannel powerful inbuilt amplifier driving a custom engineered dual 10” subwoofer, absolutely-suited for medium to large sized performance venues, houses of worship, boardroom presentations, nightclubs, can also be used for permanent installations as well as Professional Live Applications. TYPE – Active column System. Satellite – 6*2,75 “ Wideband. 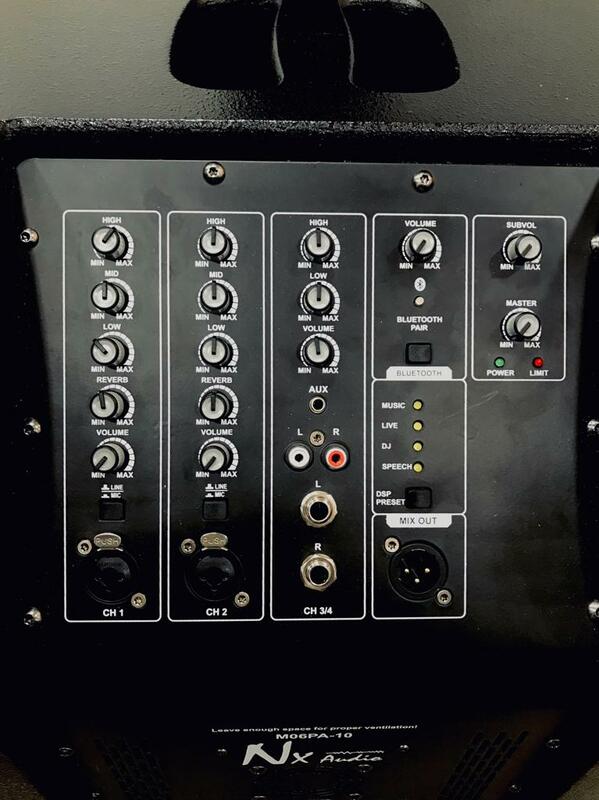 System Power—400wts RMS/1200 watt Peak. 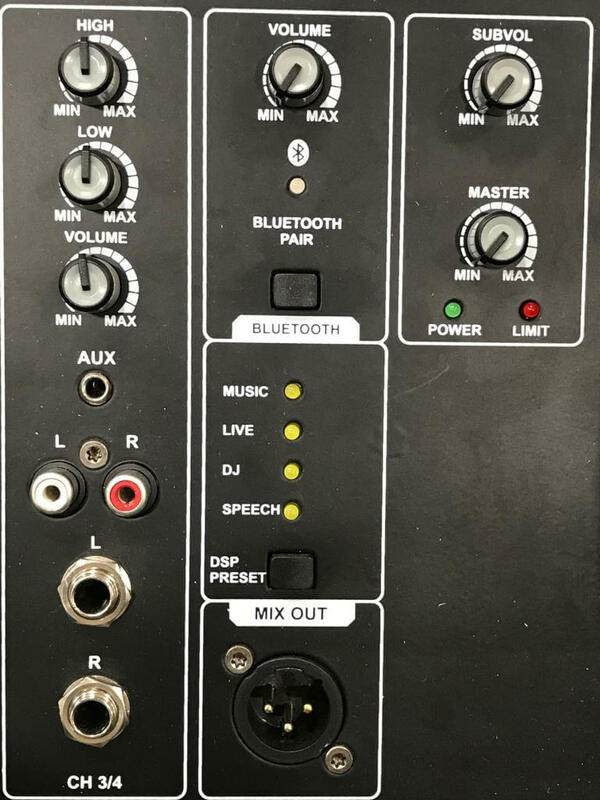 Inputs – 2*XLR/6,3mm jack, 1*3,5mm mini jack/RCA & BLUETOOTH. 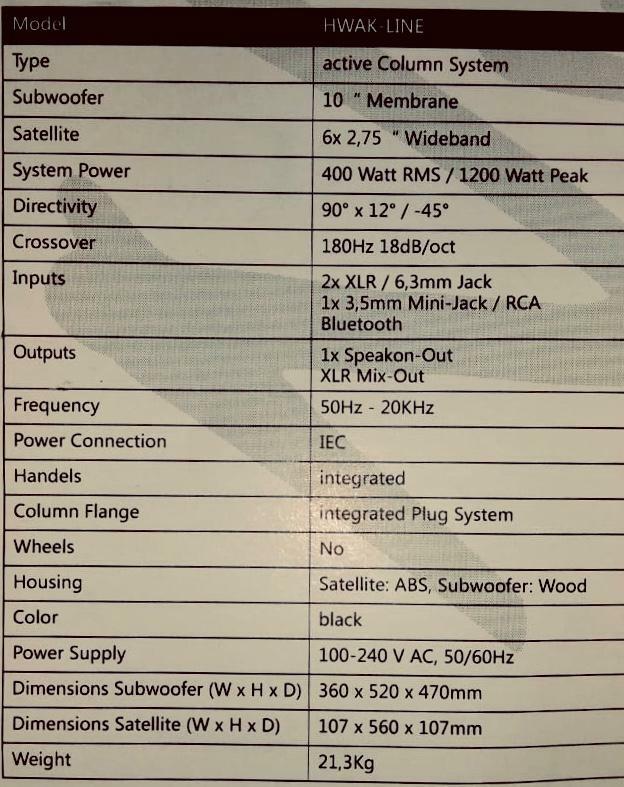 DIMENTIONS SUBWOOFER (W*H*D) – 360*520*470MM. DIMENTIONS SATELLITE (W*H*D) – 107*560*107MM.